Delhi Chief Minister and Aam Aadmi Party (AAP) chief Arvind Kejriwal has become the second-most followed Indian politician on the microblogging site Twitter. Kejriwal now has over six million followers. He crossed the mark late on 18 November. AAP's social media chief Ankit Lal to Twitter and wrote, "And as we celebrated that #Lokpalishere @ArvindKejriwal crossed the 6 million mark on @twitter." 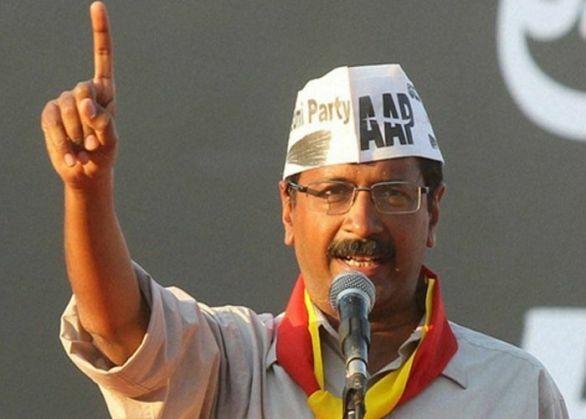 Kejriwal trails Prime Minister Narendra Modi, who has over 16 million followers on Twitter. Both leaders are widely known for harnessing the power of social media. Congress leader Shashi Tharoor, the politician Kejriwal has displaced on the social media website, now ranks 3 with 3.55 million followers. READ NEXT >> Modi's champoo vs British Buddhu: Rahul ko itna gussa kyu aata hai?